Pretrial hearings are much less intimidating than they sound. First, they’re not usually hearings. They're meetings and some states refer to them as such, calling them pre-trial conferences instead. They provide you and your spouse with a chance to settle your case and afford you an invaluable glimpse into how the judge will rule if you go to trial. Pretrial hearings or conferences usually take place toward the end of the divorce process. You or your attorney need all the facts of your case to present to the judge, such as the values of your assets and the extent of your marital debt. It usually takes several months to gather this information through discovery methods, such as subpoenas and interrogatories -- written questions that you and your spouse both must answer under penalty of perjury. In some states, both spouses and their attorneys appear before the judge for a pretrial hearing or conference. In others, only the attorneys meet with the judge. The meeting often takes place in the judge's chambers or office, instead of the courtroom, and is somewhat informal. Both spouses -- or their attorneys -- explain what they would like the judge to order in the divorce if it goes to trial and why. In some states, spouses or their attorneys are required to present their discovery documentation to the judge ahead of time, presenting their positions in a written memorandum. After listening to each side, the judge will tell everyone how he will rule on the issues at trial, assuming no new information comes to light before that time that would change his opinion. After a pretrial hearing, spouses usually know if they're fighting a losing battle by going to trial. For example, if you haven't settled with your spouse because you feel you deserve a larger than 50 percent share of the marital property and the judge states in the pretrial hearing that he would not rule in your favor, you might not want to spend the time and money on trial because you're probably not going to get what you seek anyway. 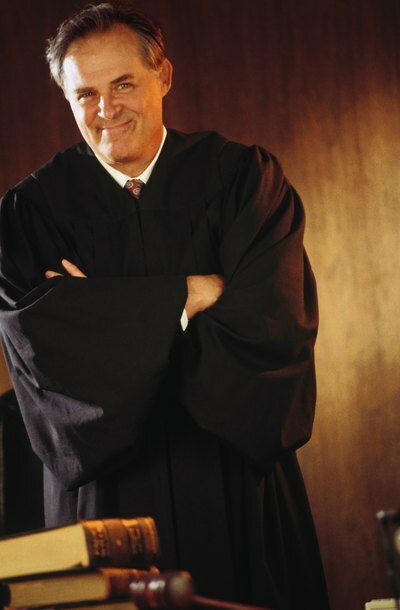 The judge who holds the pretrial conference is almost always the same judge who hears your case at trial. After you have an idea how the judge is going to rule, you can try to negotiate a settlement to avoid trial. In some states, if you and your spouse agree you won't do any better by going to trial, you can accept the judge's opinion and be divorced right then and there on the date of your pretrial hearing. This usually involves going into the courtroom and reading the terms of your agreement "onto the record." A court reporter takes everything down, and sometimes the proceedings are audio-recorded. One of the attorneys will later write the terms into a decree and the judge will sign it. You don't have to settle at the pretrial hearing. You can take some time to think about what the judge said. If you want more time, the judge will usually assign a trial date. The court won't allow your divorce to hang in limbo while you make up your mind, so the judge schedules this date to make sure your case is resolved one way or the other in the foreseeable future. You can continue to negotiate with your spouse and settle any time up until your trial date. Many judges begin their trials with yet another informal conference, trying one more time to help spouses reach an agreement. Illinois Civilized Divorce: What Is a Pre-Trial Conference? It doesn’t usually make a lot of sense to invest time, effort and attorney’s fees into quantifying your household goods in a divorce. In most cases, it’s far simpler and much cheaper to walk away from an item and purchase a replacement. Often, divorce courts will not allow you to litigate such mundane issues, and judges won’t take the time to order a division of household items. However, if you’re attempting to negotiate a marital settlement of this issue with your spouse, you'll need to know what each item is worth. Do You Have to Go to Court Before a Dissolution of Marriage Is Finalized? The thought of having to appear in court for any reason is enough to give most people cold feet. In the case of divorce -- called dissolution in some states -- the necessity for court appearances depends on where you live and the nature of your proceedings. State laws dictate whether you must go to court and appear before a judge. The details of your divorce determine whether your appearance will be a quick formality or a long drawn-out affair. The divorce process in South Carolina can range anywhere from six to 18 months, from start to finish. No two cases are alike; therefore, the time frame of your case will depend on your particular set of circumstances. If your case is uncontested and you and your spouse have signed an agreement, your divorce will move through the divorce process much faster than a contested case.